Scandinavia has a very cold reputation. Unfortunately, I can’t change the weather. I hope to, however, change this perception. 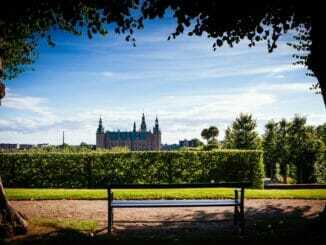 While Norway, and Sweden remain somewhat culturally rigid, Denmark, embraces alternative lifestyles and eccentricity. Its true, Danish style and design are still largely slaves to function. This minimalism extends beyond the aesthetic. It seems Danes have taken it upon themselves to accommodate the desires of the most people possible. While at first Danes may appear standoffish and distant, rest assured, they are just respecting your personal space. When approached, most Danish people are remarkably accommodating and friendly. This ability to accept alternate paths extends to the Danish capital, Copenhagen. On the outskirts, there lurks a collective of anarchists living in relative peace and prosperity. This haven for the dispossessed and downright different is known as the Freetown of Christiania. Counter-intuitively I’m not recommending visitors steer clear. You may be thinking this area of town must be the refuge Copenhagen’s worst: the killers, the users, the pushers, the insane, the homeless etc. It’s not. Christiania is one of the most unique cultural experiments in recent history. It is a popular tourist destination, a concert venue, and an art exhibition all in one. The Freetown movement began in 1971, when a few “hippies” squatted in an abandoned army barracks to protest the price of housing. Now over 40 years later, Christiania constitutes a sort of countercultural paradise. These anarchists paradoxically have a community council, and pay rent and utilities. Christiania is hardly the cesspool a square pessimist would imagine. They have rules and the Christianites largely abide. 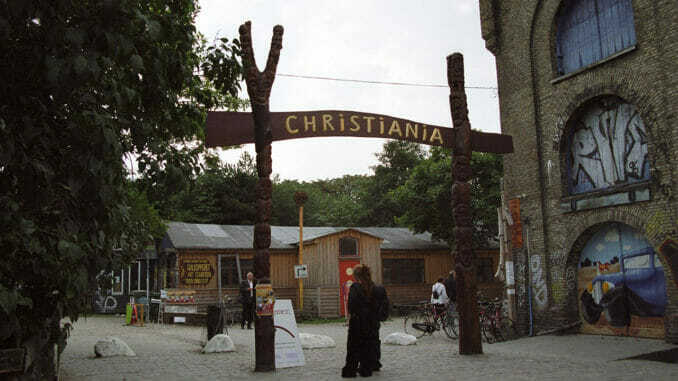 They have had their share of problems, like any community, but amid constant turmoil, Christiania survives as a symbol of Danish tolerance. The time is now to visit the world’s best-known anarchist enclave. The Christianites are always at odds with city officials, police, and themselves. But there is a calmness engulfing the Freetown. Inside Christiania, there is a likewise relaxing and “green” vibe. There are small shops selling souvenirs, and usually playing reggae music. The center of Freetown is the appropriately named Pusher Street. Again don’t fear, one of Christiania’s strict rules is a ban on hard drugs. Also known as Copenhagen’s “Green-light District”, here a customer can hash it out with a shopkeeper and find something to their liking. While not technically legal, the police tend to look the other way. However, the general adversarial nature leads to an air of secrecy. Most of the dealers wear masks, or have a cloth blocking their shop windows. To avoid confusion, it is important to refrain from taking pictures or running on Pusher Street. There is ubiquitous signage alerting tourists to the area’s rules. It is always wise to avoid an anarchist’s bad side. In the center, there is a stage that often hosts community events, and a small coffee shop. There is no shortage of characters and art to capture the imagination. Christiania is strange, and they plan to keep it that way. While Pusher Street is the main attraction, I find walking around the surrounding islets is truly transcendent. Here you can see multi-million dollar homes across from crumbling shacks. Its not like the government hasn’t offered to help. The people choose to live their own way, and that’s good enough for most. Aside from the magnificent natural beauty, walking around Christiania’s larger area will give you a glimpse into the lifestyle. You’ll see a distinct lack of cars, and an above-average quantity of large bicycles with a huge basket in the front. These utilitarian rollers are now known as “Christiania bikes.” Christianites use them to move their children, pets and sometimes, all their earthly possessions. Christiania also has some of the most unique architecture in Copenhagen. A far cry from modern Scandinavian construction, Christiania survives on ingenuity and elbow grease. Rusty signage and old-world carpentry are all the rage. Remember always to be respectful and do not treat the area like a sideshow. These people take pride in their homes, and their unique way of life. They are used to visitors, and are usually more than happy to chat, but not so pleased when you invade their privacy (i.e. photos without asking) or property (stay on the beaten paths). A long walk around Christiania can change your perspective on what you truly need to survive. Far from perfection, Freetown has a history of violence. From biker gangs to police raids, Christianites have seen it all. The fact they continue to stay is a testament in itself. Everyone should see it. It will make you question your ideals and test your resolve. Is it really anarchist? All the rules beg to differ. Is it dangerous? Not regularly. When can you move in for good? Whenever the council gives you approval. Anyone interested in an alternative perspective will enjoy a short stroll down Pusher Street. A noted venue for Copenhagen’s gay community, a revered destination for music, and a source of inspiration for the Danish literati, Christiania illustrates the Danes affinity for tolerance. I will not go so far as to say acceptance. 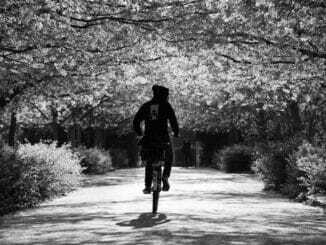 The fact that Christiania remains despite occupying, what would now seem to be, very pricey real estate, says the Danish government values some things a bit more than money. Perhaps the government iterally marginalized Copenhagen’s undesirables to the hinterlands of Christiania. 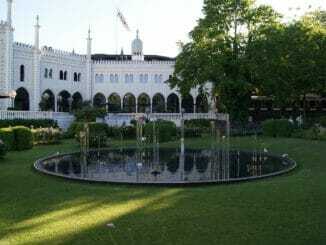 Perhaps, economics will rule the day (as it so often does) and Christiania isn’t long for the scrap heap. Perhaps, the Christianites are the future, eagerly embracing sustainability and minimalism in a world growing weary of overconsumption. After a visit to Christiania, you may start to wonder if we are the crazy ones. Some visitors don’t like it. That’s the point. Freetown is for thinkers, observers, artists, and the uncertain. The Christianites don’t want approval, pity, money, or power. They simply want to live by their own terms. Exist with them for a little while, and make up your own mind.